SWE Boston invites all members to attend the November Professional Development event hosted by Analog Devices. Our speaker will be Dr. Mary Adams Viola, Director of Engineering Management programs and Professor of Practice in Leadership and Innovation at the Gordon Institute at Tufts University. Dr. Viola designs and delivers transformative courses in leadership, with an emphasis on innovation and working across cultures. She will deliver an engaging presentation on leadership skills and how to influence without authority. Participants will engage in a ‘hands-on’ exercise to experience the principles of influence and acquire some new knowledge and strategies that can be applied immediately to influence challenges in their work. Mary Adams Viola is the Director of Engineering Management programs at the Gordon Institute in the School of Engineering at Tufts University. Dr. Viola also serves on the faculty as a Professor of the Practice in Leadership and Innovation. In her role, Dr. Viola is responsible for overseeing the development of the engineering management curriculum for both the undergraduate and graduate programs. The M.S. in Engineering Management curriculum was recognized nationally with the National Academy of Engineering’s Prize for Innovation in Engineering and Technology Education, for providing a holistic, meaningful, relevant learning experience for technology professionals who have the desire to be engineering leaders. Dr. Viola designs and delivers transformative courses in leadership, with an emphasis on innovation and working across cultures. She has taught these courses at Tufts University and at numerous Fortune 500 companies in the high-tech sector in Boston, South Korea and India. Prior to the Gordon Institute, Dr. Viola spent twenty years at Polaroid Corp. 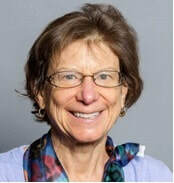 There, as Director of R&D, she was responsible for managing new technology platforms, requiring collaboration between technology and manufacturing firms in Asia and the U.S. Dr. Viola also served as plant manager for worldwide chemical operations and during that time led efforts across R&D and operations to reduce the cycle time of several of its business processes. Dr. Viola studied chemical engineering and received her bachelor’s, master’s and Ph.D. from Tufts University.